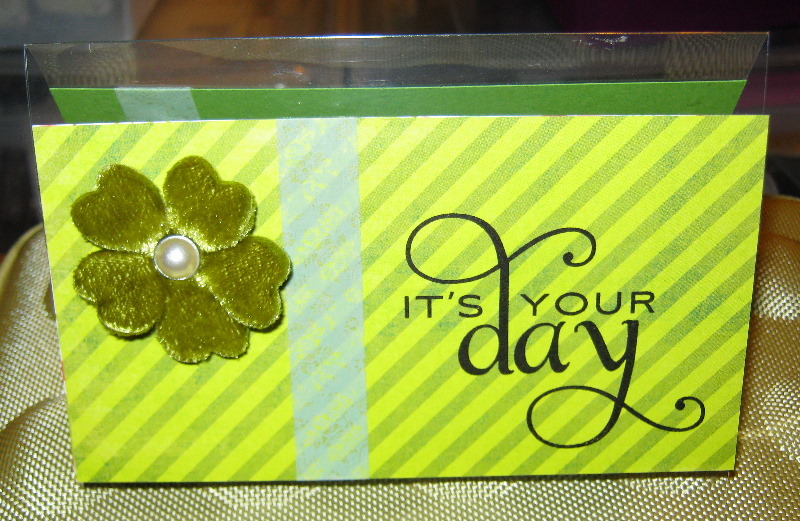 Posted on August 22, 2011 by Albert G.
This giant medallion background rubber stamp was introduced about two seasons ago by Stampin’ Up! (and is still currently available). I can’t tell you how many times I reach for it to make invitations, notecards, background images, etc. It’s such a large stamp, that many times, I only use a portion of it on my project (as below). 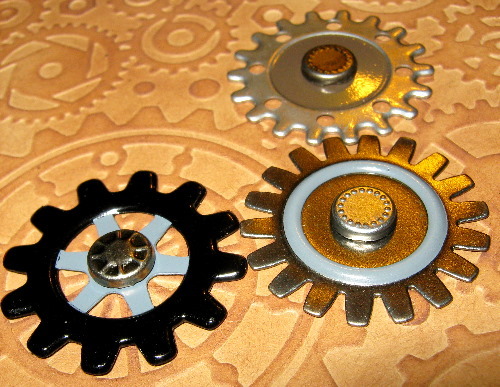 These types of images are great for gender-neutral projects and are terrific for experimenting with different mediums or heat embossing. 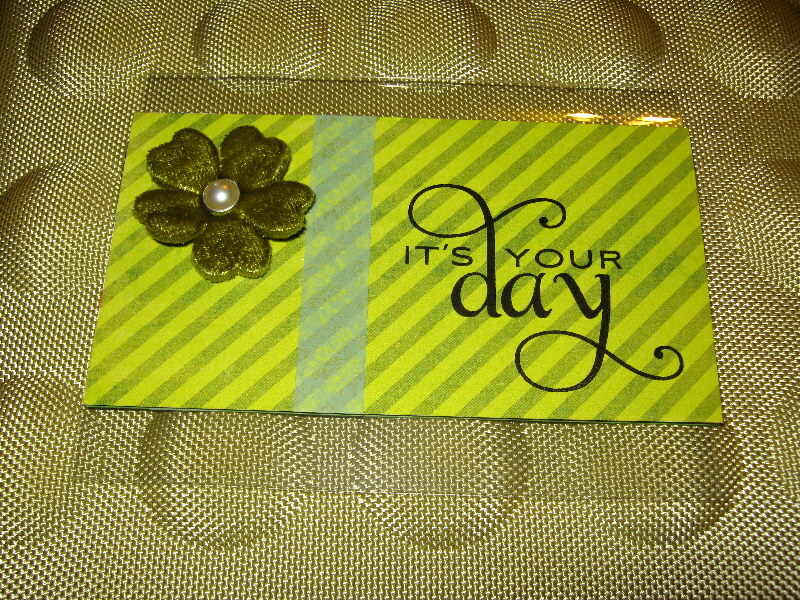 For this card, I used a piece of bronze-hued mica cardstock as a card base. 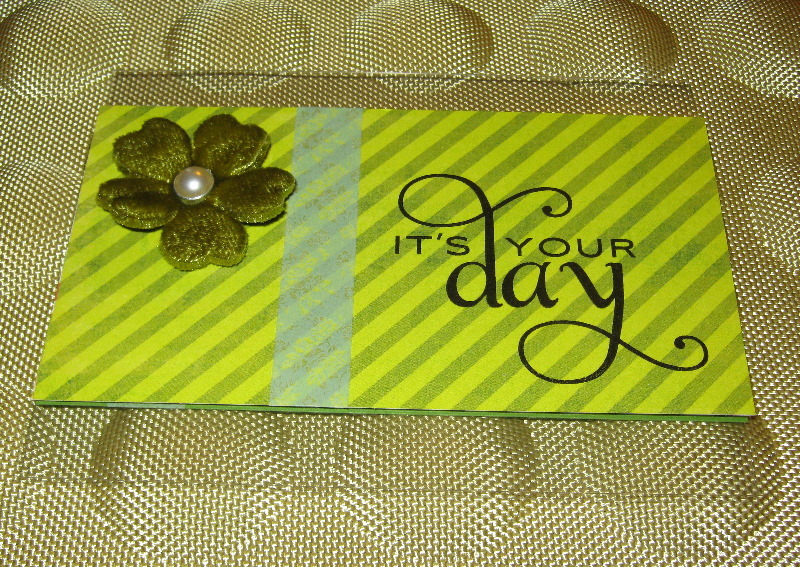 The mat is a 4″ x 5″ piece of Stampin’ Up! Early Espresso cardstock. To create the image, I offset the stamp (which I unmounted) and used some Papertrey Ink pigment ink in Fresh Snow. 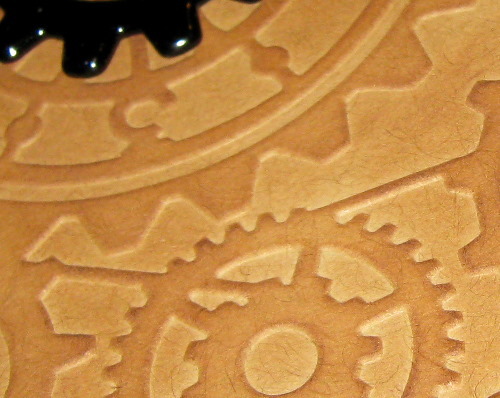 I really like the contrast of the white ink with the dark papers. 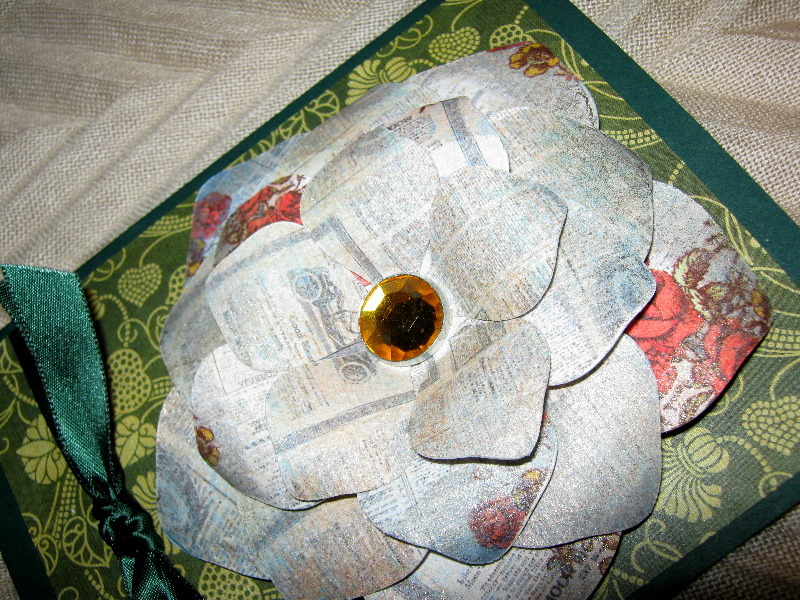 Once the image was completely dried, I used a double wrap of 1/8″ taffeta ribbon in Early Espresso (with white edging) to create some visual interest and break up the main design. 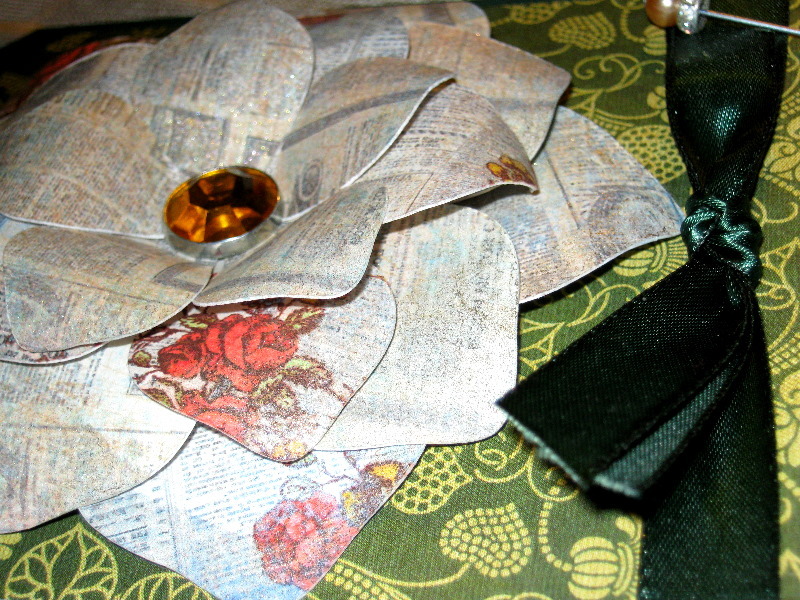 I used a vintage brooch-inspired brad from Pink Paislee/House of 3 “Parisian Anthology” collection. 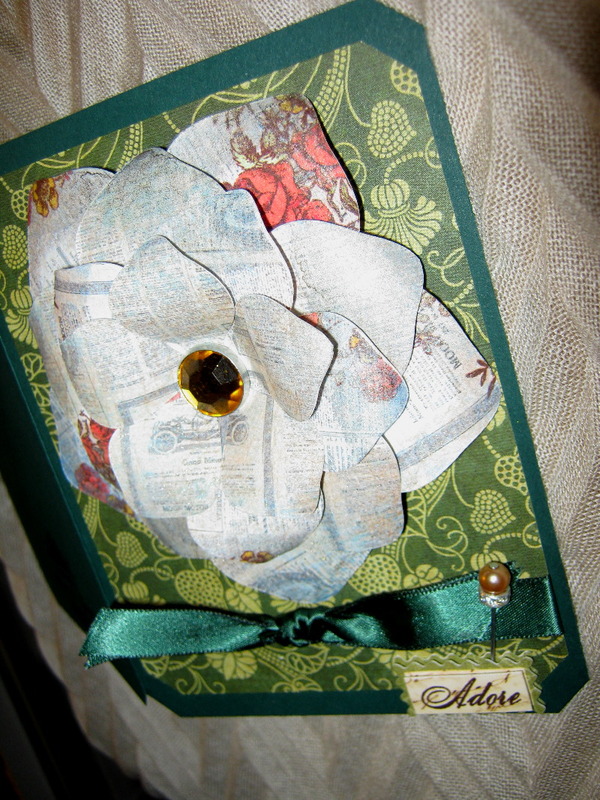 I think the smoked jeweled clusters are the perfect contrast to the stark white stamped image–hard and soft. 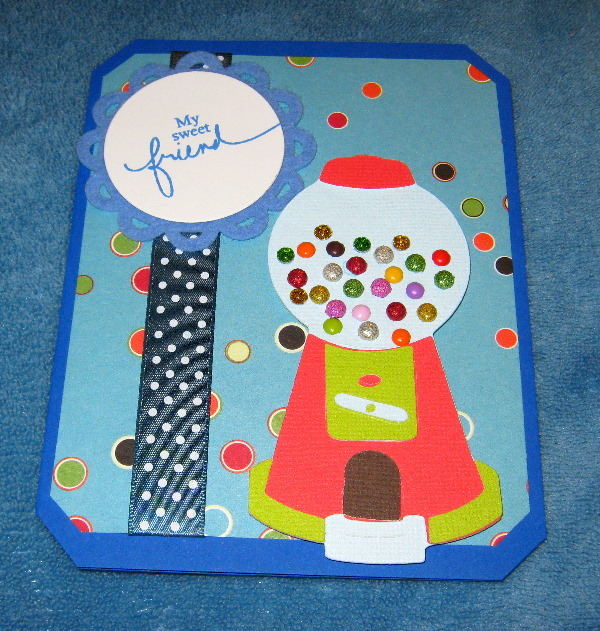 Posted on June 6, 2011 by Albert G.
Of late, I’ve noticed more and more crafters starting to experiment with clear plastic–as opposed to paper cardstock–to create the base of cards and other projects. While I’ve admired the work, I have to say that I was a bit hesitant to try it for myself. 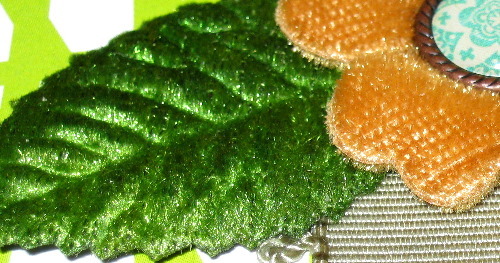 I think the apprehension comes from the fact that plastic is much less forgiving in trying to “hide” adhesive and embellishment backs than cardstock would be. It really just comes down to a bit of forethought and planning. 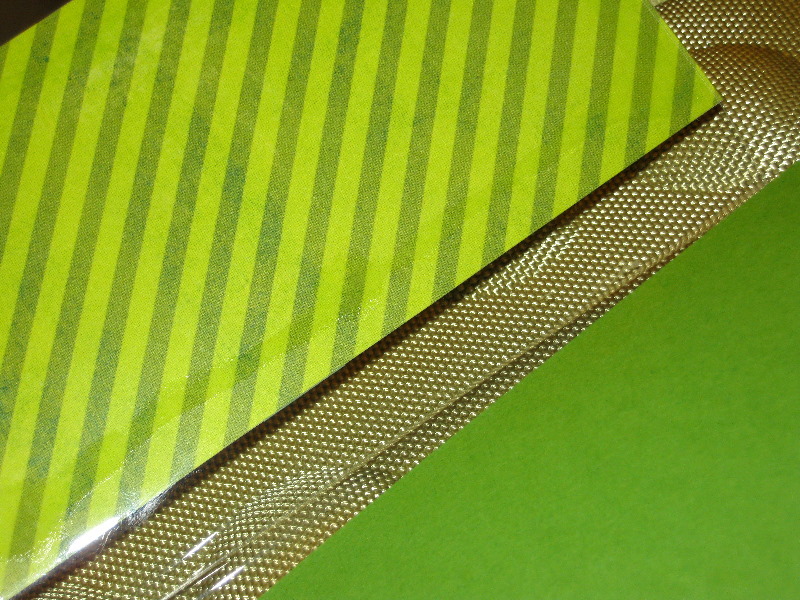 I purchased a package of Clearly Creative Cardstock from Papertrey Ink. These 8 1/2″ x 11″ sheets of clear heavy-weight acetate are easy to cut and score–and truly make a blank canvas for a project. 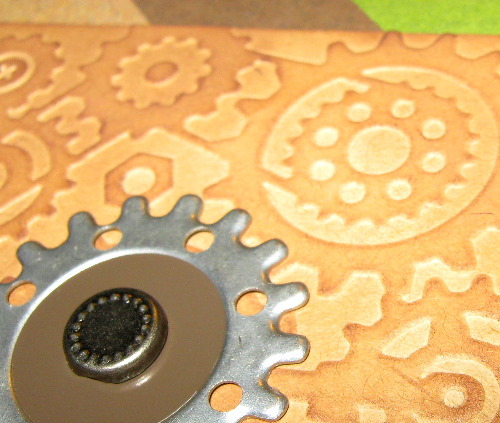 You can even stamp directly on the acetate if you should choose to. 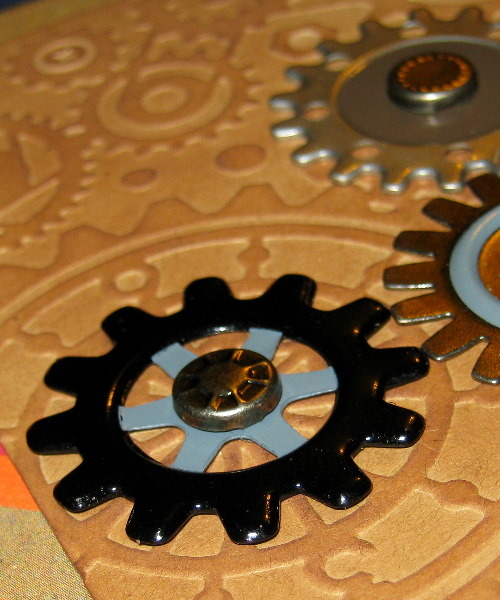 For my first project, I went with something a bit more simple–and yet, the result is very eyecatching. I used a 8 1/2″ x 5 1/2″ piece of clear acetate (scored at 4 1/4″). 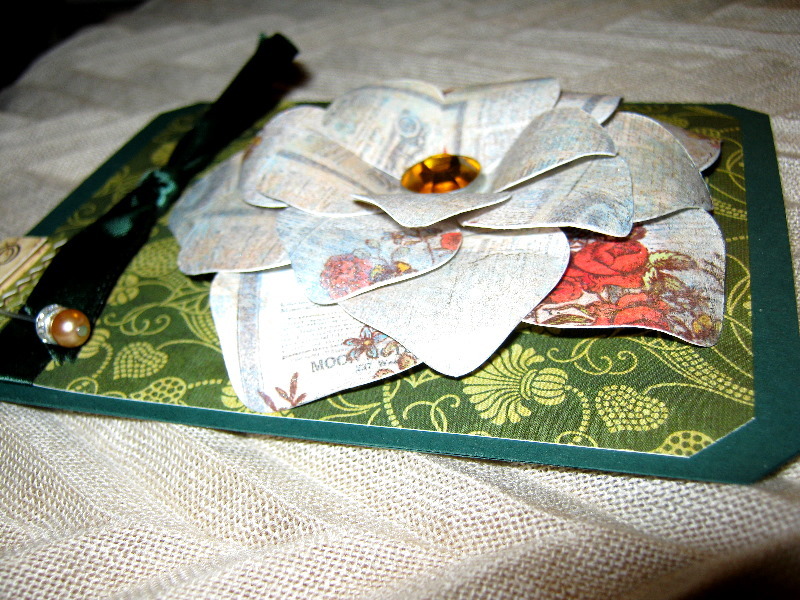 Because I knew I wanted to used the velvet flower and pearl brad on my card front, I knew I had to find a way to hide “evidence” so to speak. 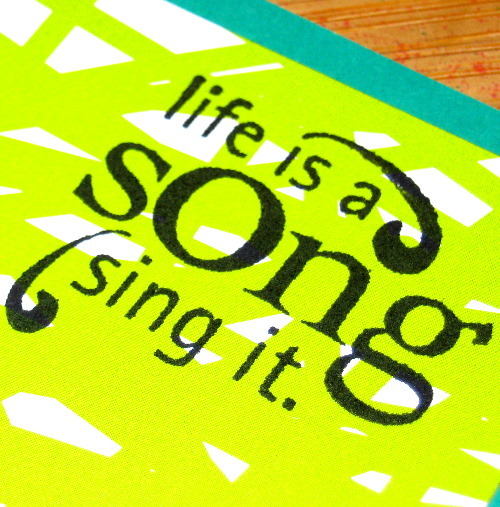 To do so, I cut two pieces of cardstock from My Mind’s Eye “Life of the Party” collection at 3″ x 5 1/2″. 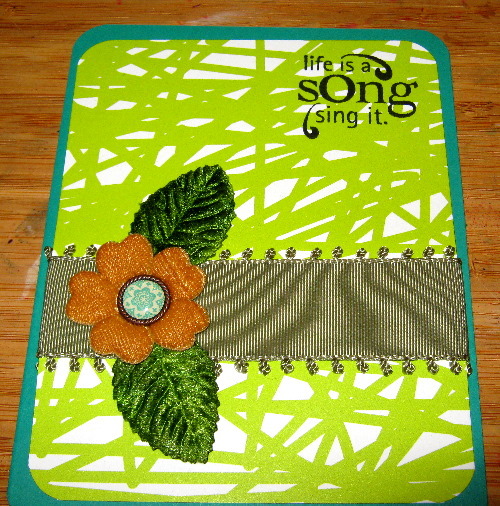 By placing the lovely green striped cardstock back to back, I created a cover for the brad backing and a nice repeat of the front pattern on the clear cardstock. 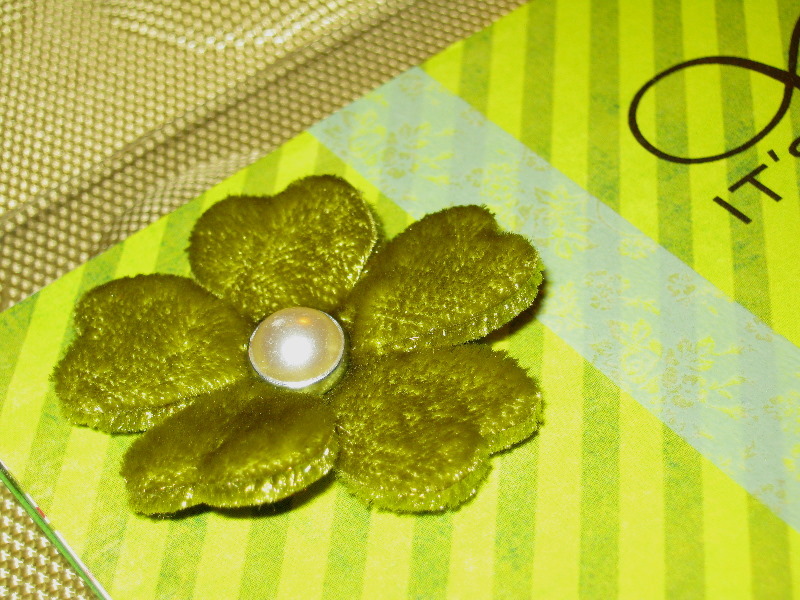 The velvet flower and pearl brad are from Creative Charms. The sentiment is from Papertrey Ink. 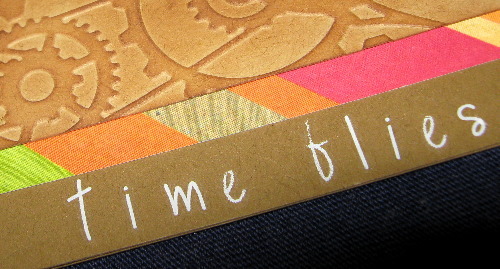 For the final touch on the card front, I used a piece of Washi tape in a lovely muted floral pattern. For the inside of the card, I used a piece of Papertrey Ink cardstock in New Leaf cut to the same size as the front pieces (3″ x 5 1/2″). I used another piece of the Washi tape. 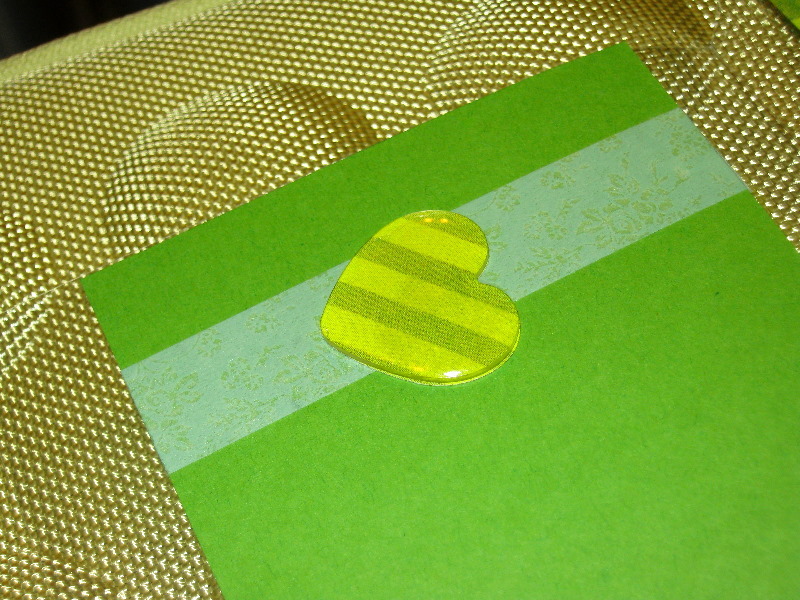 As a final touch–and carrying the pattern of the front of the card over–I used Epiphany Crafts Shape Studio Tool with the 25mm Heart shape to create an epoxy button using the same My Mind’s Eye patterned cardstock. Before putting the final card together, I explored different craft glues to find one that would dry quickly, dry flexibly, and most importantly dry clearly. I ended up choosing a product from ScrapPerfect called “Best Glue Ever”. It seems to fit the bill and works quickly. I am one who uses very little liquid adhesives in my project (due to the mess and unsightly pulling). However, there are times when a good liquid adhesive comes in handy. I look forward to using this one again in some future projects. Posted on February 7, 2011 by Albert G.
I must apologize for the delay in getting this entry posted. Unfortunately, Mother Nature was apparently upset with the Southwest desert U.S. After having a few days of temperature readings below zero (and incredibly, -21 with the wind chill factored in), the aftermath was nearly as cold as the event. I had three separate broken water lines (…and only two thumbs to plug the holes with, lol). It’s been an icy floody mess around here. But, like all things, this too shall pass. 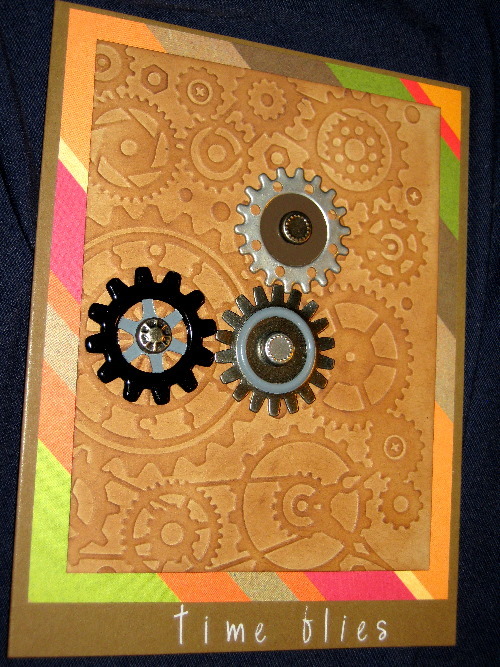 The good news is that today’s card project is so pretty, it made me forget the bone-chilling cold–for a bit at least. This card is also one of those happy accidents where a combination of not-so-likely Cricut cartridges provided an interesting collision. 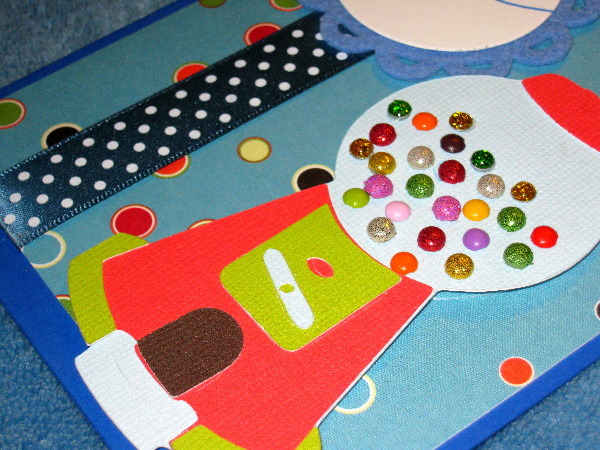 In the end–and pardon my frankness–this card is beautiful. 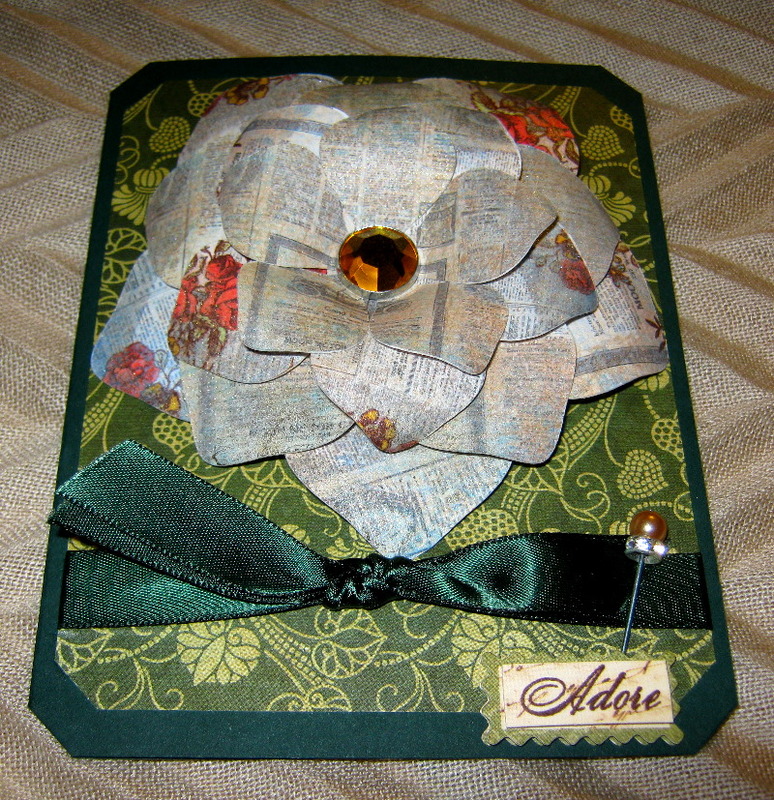 I used one of the Spring 2011 seasonal mini-cartridge releases, “Mother’s Day Boquet”, to create a layered flower piece that serves as the focal point of this card. 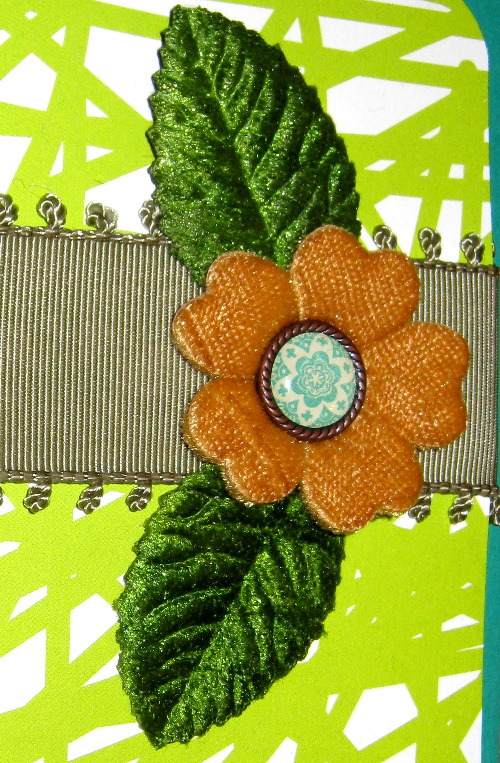 The image I used was the flower on Row 1, Key 5. 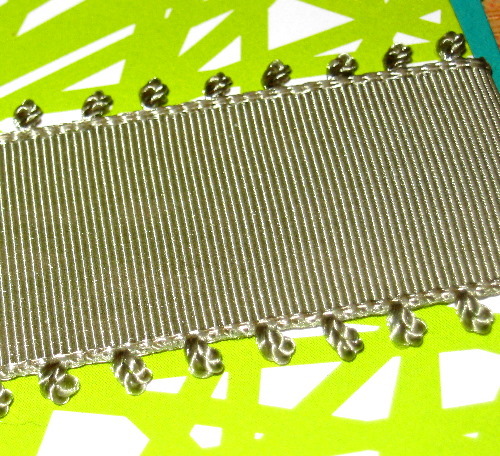 I cut four layers: 4″, 3.5″, 3″, and 2.5″. I used my Cricut Imagine to do the cutting and one big advantage to doing so is the ability to create custom colors and/or patterns on designs from the regular Cricut cartridge line. 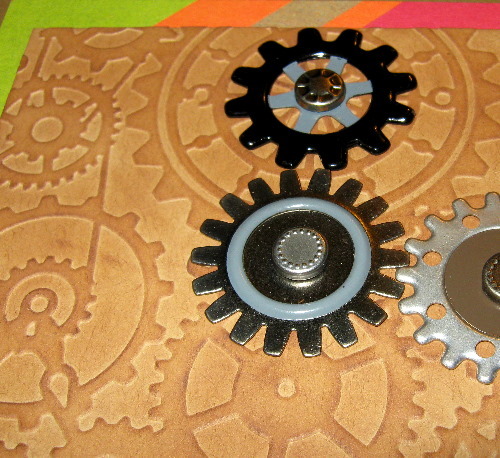 Earlier, I had been working on an Imagine project using the Cricut Imagine “Country Carnival” art cartridge. While I was debating what solid color I wanted to print my flower layers with, I had the idea to experiment with pattern using the “Country Carnival” cartridge. 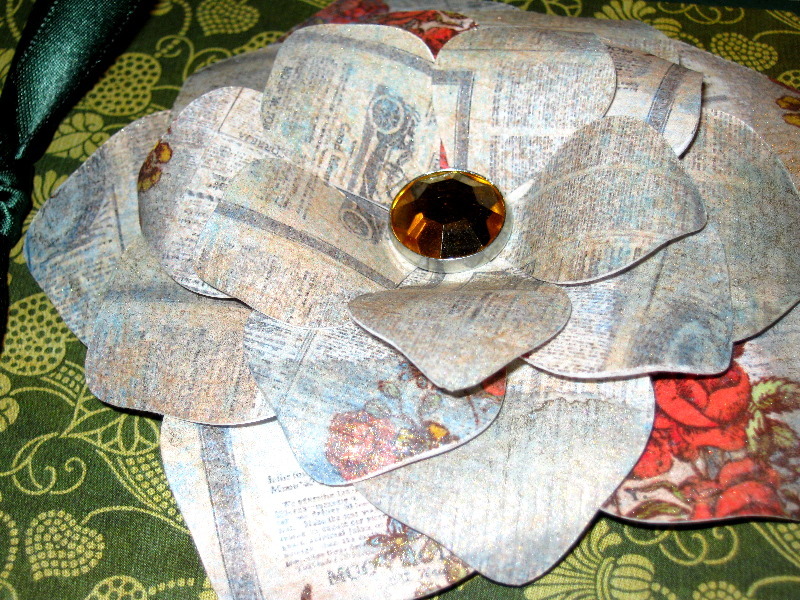 One of the patterned paper images I love on this cartridge is a vintage newspaper layout that is dotted with spots of bright color in the form of trailing rose bushes. 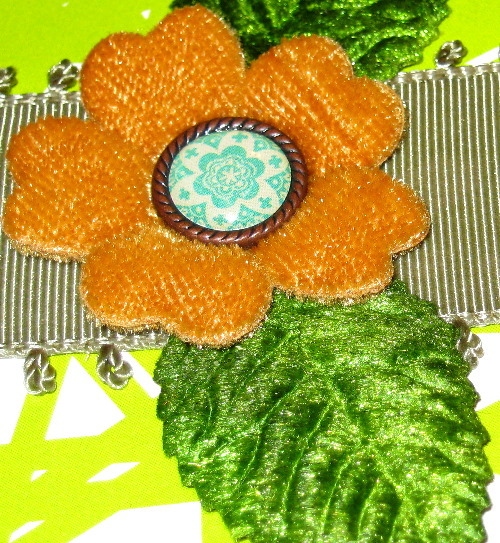 It provides for vivid pops of color, while keeping with a chic vintage look. 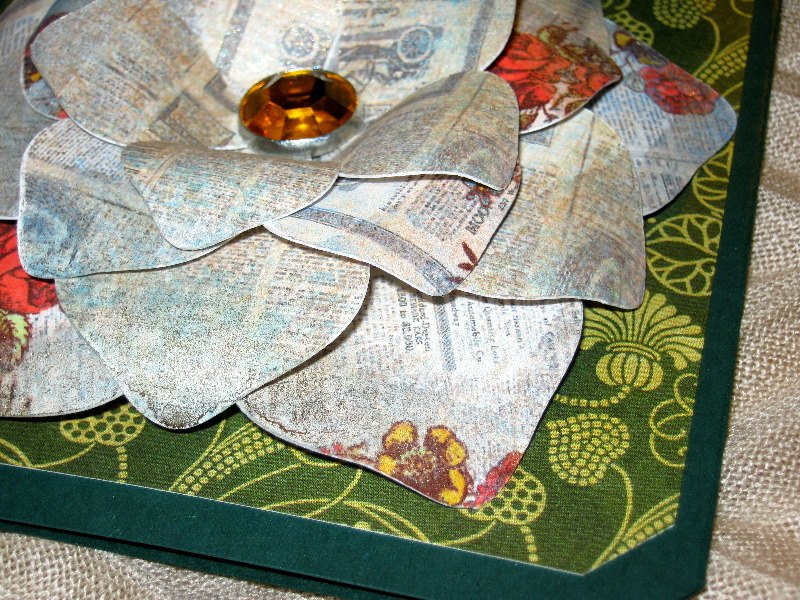 Using some white Bazzill cardstock (corduroy textured), I cut my flower layers using the “Mother’s Day Bouquet cartridge and the pattern from “Country Carnival”. 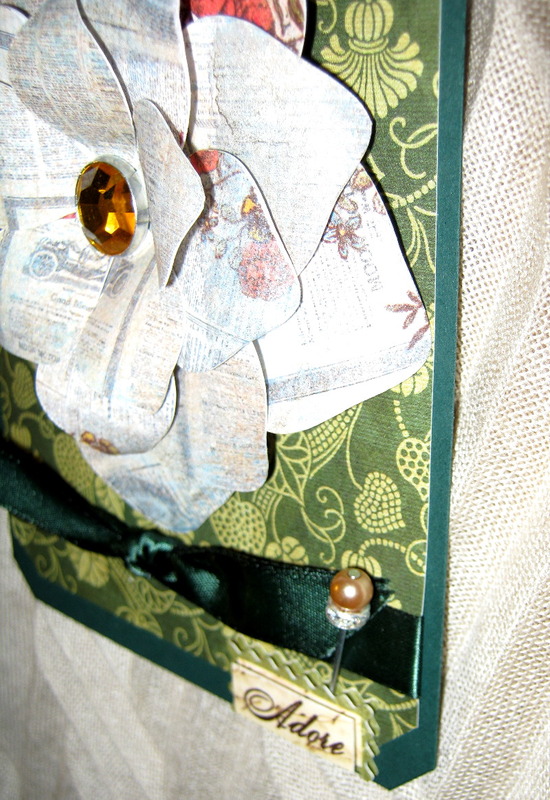 I further enhanced the vintage look of the layers by using some Ranger Perfect Pearls Mist in Heirloom Gold. I really love the formulation of these Perfect Pearl mists. I’ve tried other color spritzes, washes and sprays–and usually the results are messy and not aesthetically pleasing. 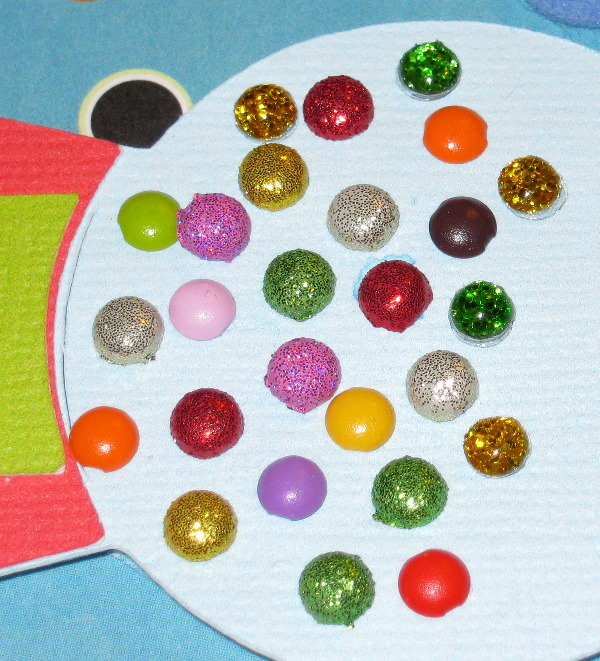 But, I have had tremendous success with the Perfect Pearls. 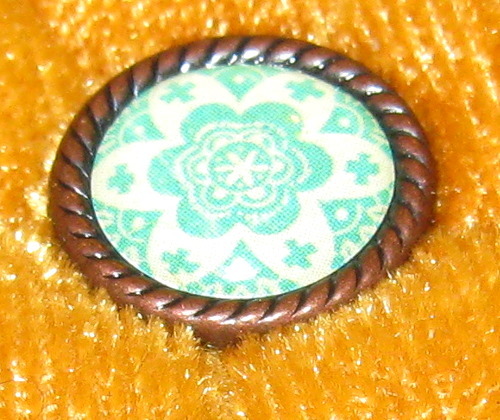 I anchored my floral layers with a giant faceted jeweled brad from Creative Charms. 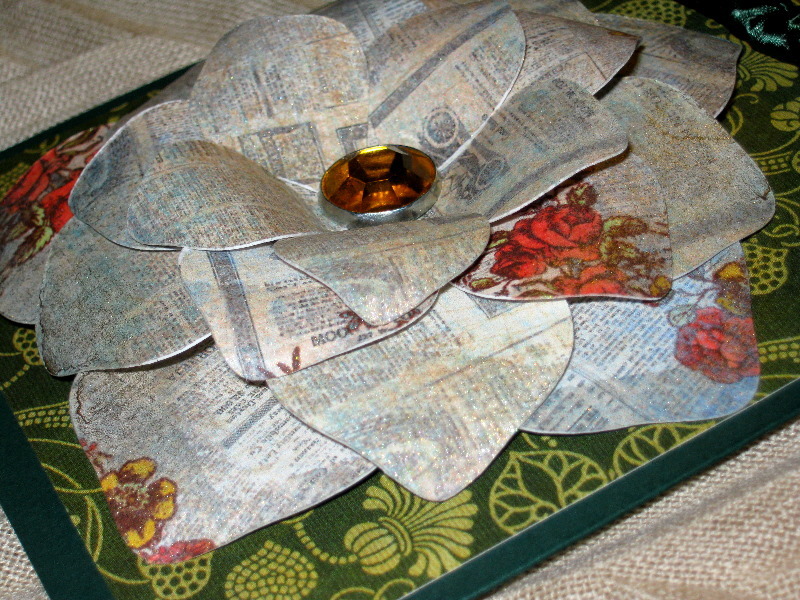 I used a Martha Stewart bone folder to curl my petals to provide dimensionality and visual interest. 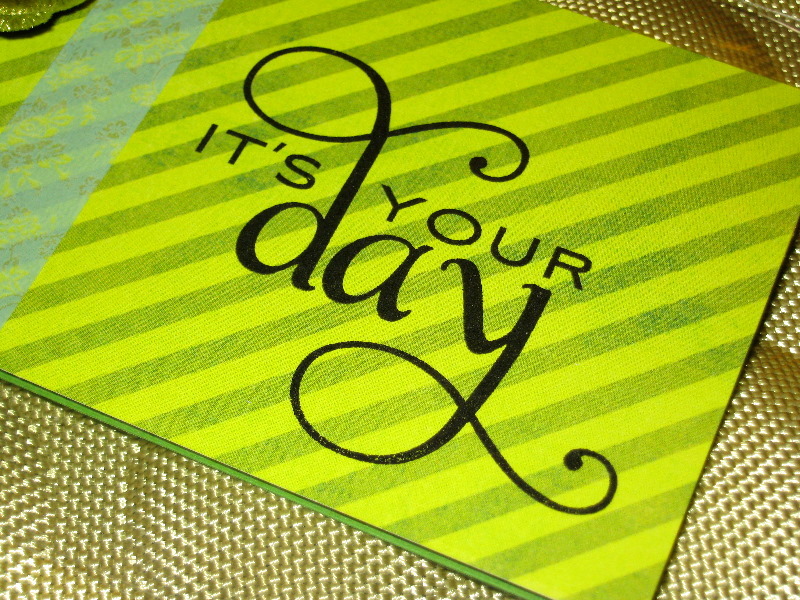 The decorative paper for the card mat and the inside of the card is from Graphic 45’s “Le Romantique” collection. 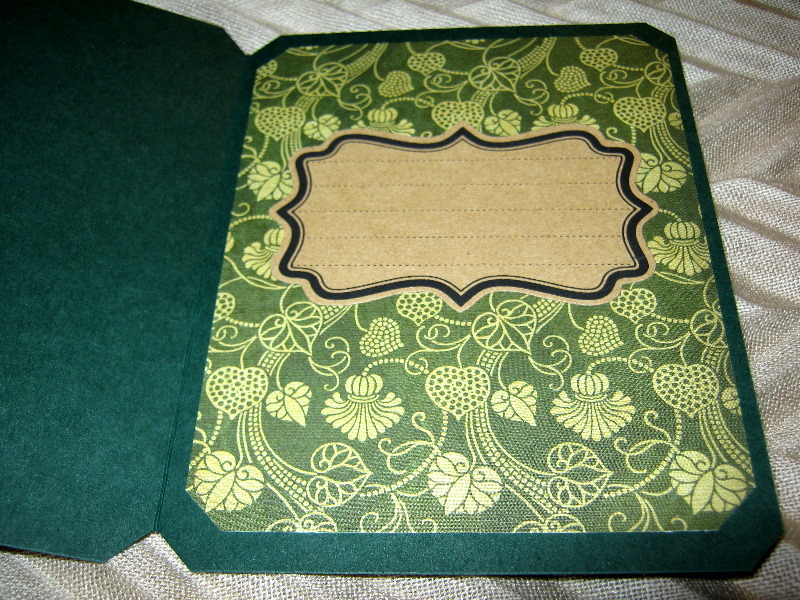 The card base and ribbon are from Papertrey Ink in Pine Feather. A little dimension and a strategically placed stick pin provide just the right finishing touches on the front. 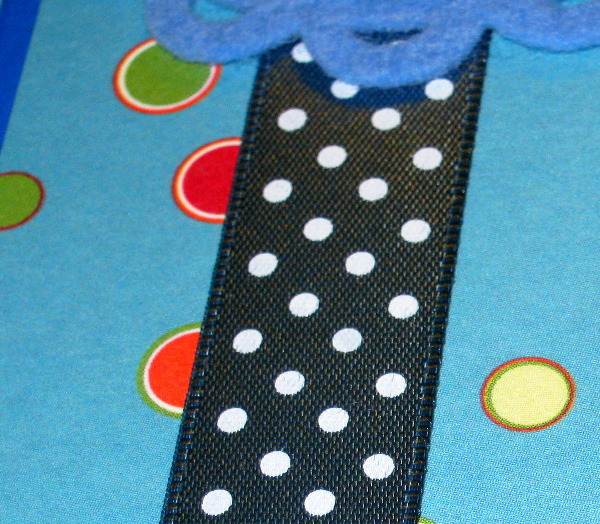 On the inside, I used a kraft journaling tag from Maya Road to provide an area for personalization. Overall, I was really jazzed by the modern meets vintage look of the overall card. The bloom looks like it is growing right off the card front–and in these frigid temperatures it is certainly a most welcome sight. 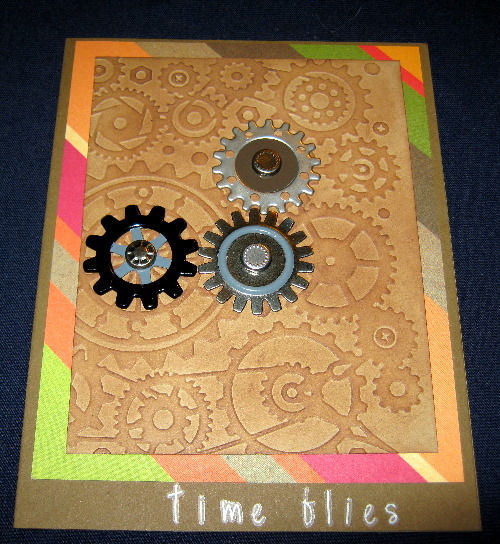 Posted on January 17, 2011 by Albert G.
The base cardstock for this card is Stampin’ Up! in Brilliant Blue. 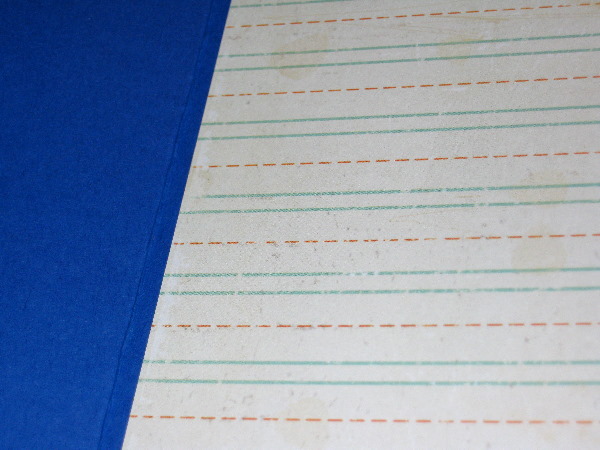 The decorative paper (which recalls the gumball theme) is from American Crafts. 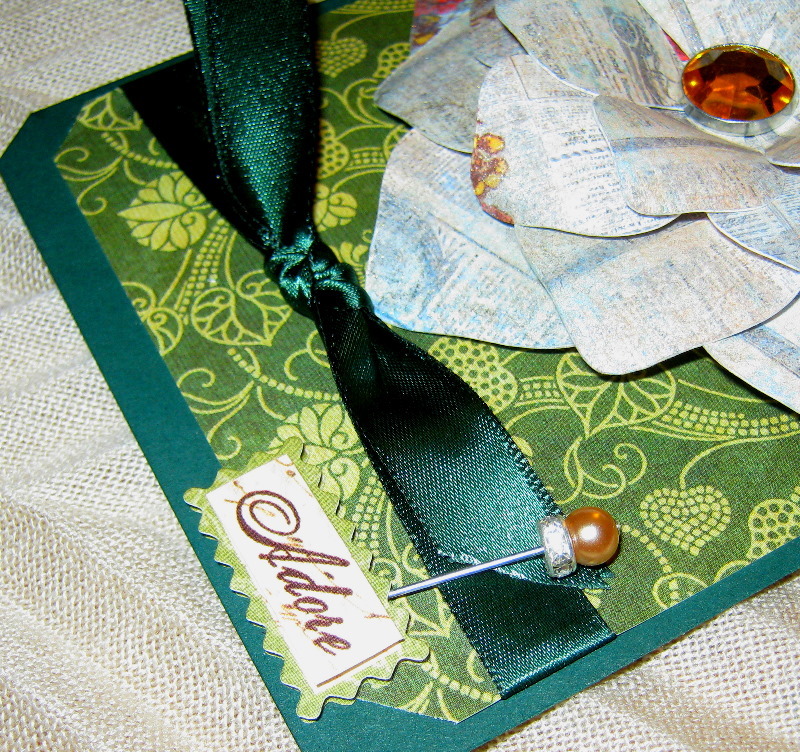 The ribbon is from Papertrey Ink’s “Enchanted Evening” collection. 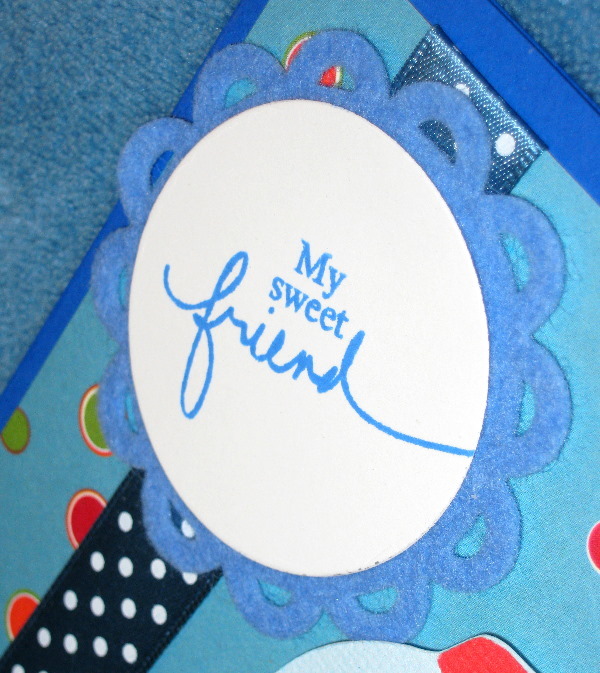 For my sentiment, I created a scalloped badge out of felt (also from Papertrey Ink). Inside the card, I used a piece of decorative paper from Crate Paper that looks like those pages we all learned how to write on (Big Chief, anyone?). 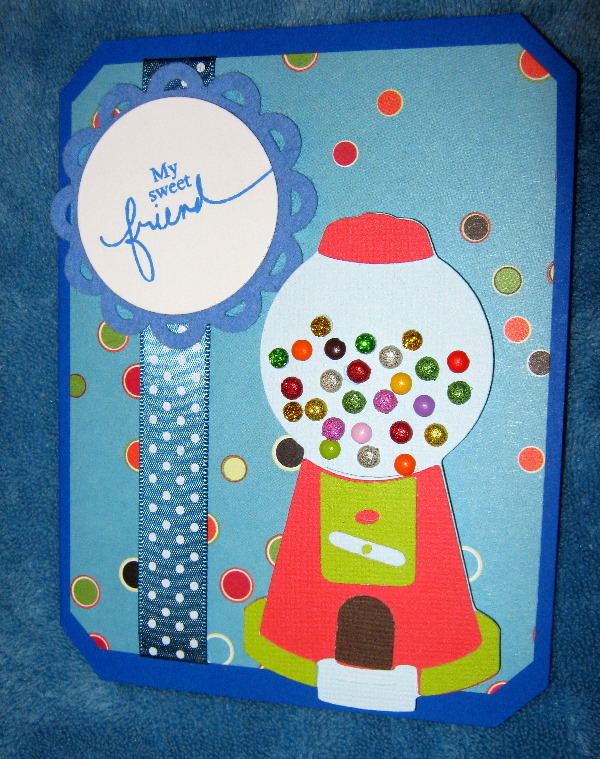 I thought this paper echoed the whimsy of the gumball machine–and I think the stains and smudges in the print are simply charming. As a further note, I should add that I highly recommend the Cricut “Wrap It Up” cartridge. If you are one who tries to limit your cartridge buying (i.e. NOT like me, lol) to necessities, this is one to add to the “must-have” list. There are some terrific images, the layering is fairly simple and the artwork is highly versatile for many different events and uses. This is also a great cartridge for a Cricut Newbie. Posted on June 10, 2010 by Albert G.
Posted on June 7, 2010 by Albert G.